If you're experiencing problems with your TV or Antenna in Cranbrook, then you need a reliabl service to get a solution to you fast, and that service is TV Magic! Hi, I'm your local TV Magic Technician in Cranbrook, Gordon and I'm here to help you with all of your TV Antenna needs. Antennas are vulnerable to so many different things, especially in our Australian enironment. If it's not flocks of Cockatoos damaging your antenna, then it's storms, falling tree branches, lightning or wear and tear. It almost seems that the humble old Antenna doesn't stand a chance. But that's were we come in; TV Magic Cranbrook. At TV Magic, we have over a decade in experience of mending and repalcing antennas and we only use the highest quality standard of equipment. Why Choose TV Magic Cranbrook for Your Antenna Repairs? TV Magic Cranbrook differs from most other TV Antenna services. Our focus is on quality; quality customer service, quality equipment and quality results. At TV Magic, rather than supplying our customers with the same old antennas that are going to wear out in another five years, we have decided to source a completely different style of antenna; an Australian designed, longer lasting antenna, built to combat most of the common problems that cause antennas to wear out or break quickly. To begin with, they are designed so that large birds, like Cockatoos, that normally damage Antennas, are not able to perch on them and cause further damage. And that's not all! 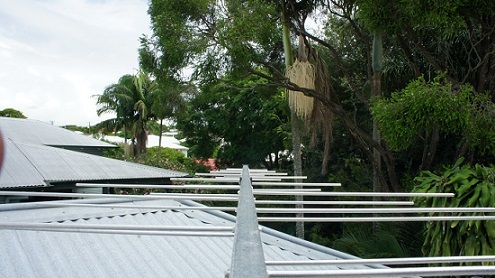 Our Australian designed antennas are also more practical and environmentally friendly. Our Antennas don't use the flimsy plastic that most other generic antennas do and therefore, you don't have to worry about them falling apart from wear and tear anytime soon. TV Magic Antennas have a lifespan of aorund 10- 15 years, whereas your average antenna only lasts around 5 years, that's up to three times less than a TV Magic Antenna! So if you prefer a quality job over a cheap and nasty one, then call TV Magic Cranbrook today!